At one time in history, even da Vinci himself had to pen a resume to explain why he was a qualified applicant. Here's a translation of his letter to the Duke of Milan, enumerating his many talents and abilities. Most Illustrious Lord, Having now sufficiently considered the specimens of all those who proclaim themselves skilled contrivers of instruments of war, and that the invention and operation of the said instruments are nothing different from those in common use: I shall endeavor, without prejudice to any one else, to explain myself to your Excellency, showing your Lordship my secret, and then offering them to your best pleasure and approbation to work with effect at opportune moments on all those things which, in part, shall be briefly noted below. 1. I have a sort of extremely light and strong bridges, adapted to be most easily carried, and with them you may pursue, and at any time flee from the enemy; and others, secure and indestructible by fire and battle, easy and convenient to lift and place. Also methods of burning and destroying those of the enemy. 2. I know how, when a place is besieged, to take the water out of the trenches, and make endless variety of bridges, and covered ways and ladders, and other machines pertaining to such expeditions. 3. If, by reason of the height of the banks, or the strength of the place and its position, it is impossible, when besieging a place, to avail oneself of the plan of bombardment, I have methods for destroying every rock or other fortress, even if it were founded on a rock, etc. 4. Again, I have kinds of mortars; most convenient and easy to carry; and with these I can fling small stones almost resembling a storm; and with the smoke of these cause great terror to the enemy, to his great detriment and confusion. 5. And if the fight should be at sea I have kinds of many machines most efficient for offense and defense; and vessels which will resist the attack of the largest guns and powder and fumes. 6. I have means by secret and tortuous mines and ways, made without noise, to reach a designated spot, even if it were needed to pass under a trench or a river. 7. I will make covered chariots, safe and unattackable, which, entering among the enemy with their artillery, there is no body of men so great but they would break them. And behind these, infantry could follow quite unhurt and without any hindrance. 8. In case of need I will make big guns, mortars, and light ordnance of fine and useful forms, out of the common type. 9. Where the operation of bombardment might fail, I would contrive catapults, mangonels, trabocchi, and other machines of marvellous efficacy and not in common use. And in short, according to the variety of cases, I can contrive various and endless means of offense and defense. 10. In times of peace I believe I can give perfect satisfaction and to the equal of any other in architecture and the composition of buildings public and private; and in guiding water from one place to another. 11. I can carry out sculpture in marble, bronze, or clay, and also I can do in painting whatever may be done, as well as any other, be he who he may. Again, the bronze horse may be taken in hand, which is to be to the immortal glory and eternal honor of the prince your father of happy memory, and of the illustrious house of Sforza. And if any of the above-named things seem to anyone to be impossible or not feasible, I am most ready to make the experiment in your park, or in whatever place may please your Excellency - to whom I comment myself with the utmost humility, etc. 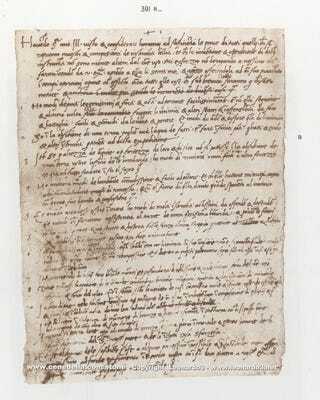 The document, written when da Vinci was 30, is actually more of a cover letter than a resume; he leaves out many of his artistic achievements and instead focuses on what he can provide for the Duke in the way of innovative technologies of war. I wonder if the Duke of Milan thought he was exaggerating when da Vinci claimed he could "paint...as well as any other, be he who he may."